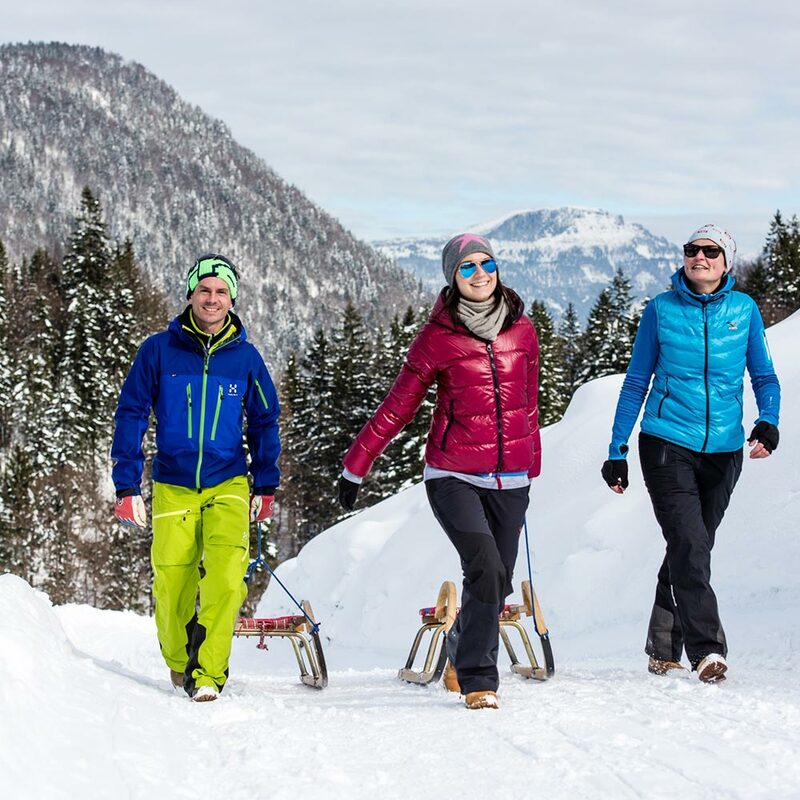 Tobogganing in Kitzbühel is a special, highly enjoyable experience and a must for any winter holiday. 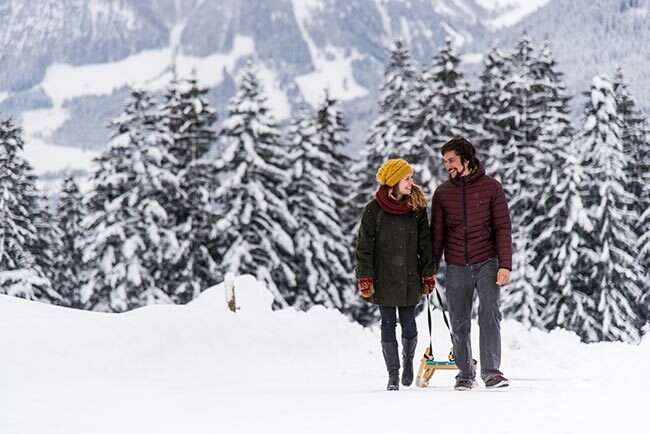 The Brixen Valley natives love tobogganing, so there are several tobogganing clubs and teams in the area, and impeccably groomed runs throughout the valley. Head up to the start of the toboggan run on foot or by lift – in the daytime or under a romantic starlit sky. Stop to refuel at a traditional mountain hut or inn and enjoy their cosy Tyrolean charm. You can hire toboggans at most runs. The spectacular Gaisberg toboggan run is not far from the Relais & Châteaux Rosengarten in the Kitzbühel Alps. It is the only toboggan run in the nearby area to boast the natural toboggan run quality seal. A four-seater lift ensures a comfortable journey up to the start, before you speed down the 3.5km run. Tip: Night-time tobogganing in Kitzbühel is available every day – the run is floodlit until 11pm. 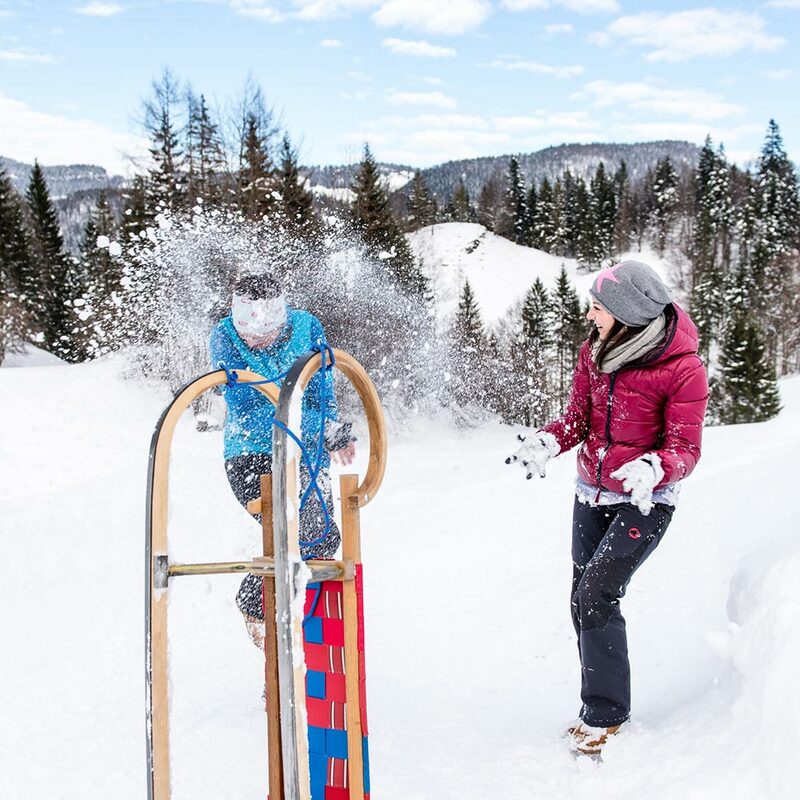 The Haagalm toboggan run (Penningberg) in Kelchsau is a true classic and loved by locals and visitors alike. Allow half a day for this tobogganing in Kitzbühel experience. The ascent to the Haagalm takes around 1.5 hours and ends at 1,350m above sea level. After the 400m climb, you’ve earned some refreshment before speeding along the challenging 3.7km run back down to the valley.